Spices not only add flavour to your favourite dishes, but have been proven to be very beneficial towards your overall health. In fact, many spices have hidden health benefits that you might not be aware of. So Starts at 60 chatted with Brisbane-based nutritionist Faith Best to find out which of the jars in your spice racks could benefit you the most. Turmeric is considered to be one of the “greatest spices” for its many benefits, Faith explains. The spice is credited for preventing and fighting diseases, improving memory and attention span and even for helping when it comes to preventing aches and pains. While there’s strong evidence for its effectiveness, many reports suggest turmeric is more beneficial when mixed with black pepper and oil. Ginger, which is used in many different cuisines, is a popular natural remedy commonly used to treat nausea. While it’s not known how ginger might ease nausea, some experts suspect that certain chemicals found in the root may work in a similar way to anti-nausea medications. If you want to try ginger to relieve nausea, Faith recommends adding fresh, dried or powdered ginger to some hot water. The herb is also often used to help relieve muscle and joint pain, including arthritis. Keep in mind, you may need to limit your ginger intake if you’re prone to low blood pressure or low blood sugar, or if you’re taking blood thinners. Not only is black pepper a dining table staple, but it’s also a rich source of minerals and nutrients. Black pepper is also a very good anti-inflammatory agent, helping ease aches and pains, and is good for stimulating digestion. 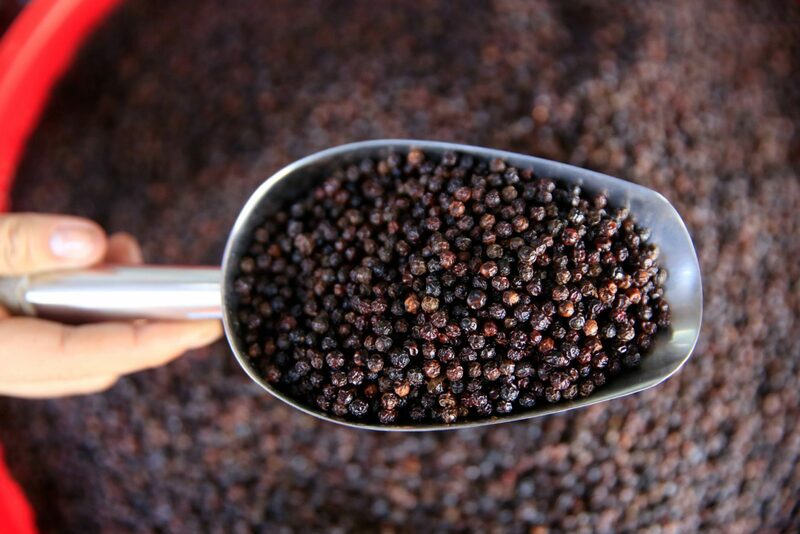 There are several different types of black pepper, but for the best results whole peppercorns are preferred. “For these benefits and more, only a small amount is needed in as many meals as possible,” Faith says. As well as adding a punch of flavour to your meal, cinnamon is known to reduce inflammation, blood sugar levels and calm nausea. Cinnamon has also been linked to a reduced risk of heart disease. However, Faith says there are two main types of cinnamon: ceylon cinnamon — also known as ‘true’ cinnamon — and cassia cinnamon — the more common variety today, which has some but not has many health benefits. For the best results, she recommends adding cinnamon into smoothies, stewed fruits, biscuits and bolognese. Not only is oregano great for cooking, it’s also jam-packed with some important nutrients. It can be eaten fresh, dried or as an oil, and all are said to have multiple health benefits. Oregano also contains certain compounds that have powerful antibacterial properties, Faith explains. In addition to fighting off bacteria, oregano is rich in antioxidants, which can help to reduce inflammation. How often do you cook with these herbs?